Arriving in a new city after a long flight can be challenging and let’s face it almost every trip to Sydney Airport is a long flight! 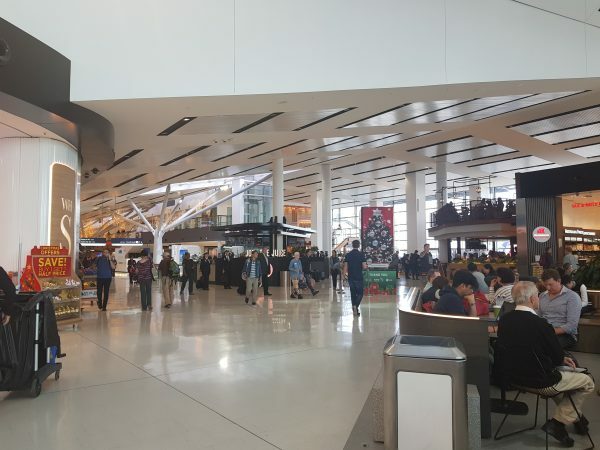 I have put this Sydney Airport guide together because having some information about what to expect at the airport will make your arrival so much easier. If you get lost or have questions once you arrive keep an eye out for the volunteer Airport Ambassadors, they wear bright blue jackets to help make them easy to find. Volunteers are located in both arrival terminals and international departures. However, armed with this list of frequently asked questions about Sydney Airport I think you will be just fine! How do you transfer between terminals at Sydney Airport? What time does is Sydney Airport open? Can you sleep overnight at Sydney Airport? How long before my flight do I need to arrive at the airport? Can you buy a sim card? Can you charge your devices? Is baggage/luggage storage available at Sydney Airport? Are there showers at Sydney Airport Terminals? Is medical assistance available at the airport? What can you do while you are waiting for your flight? How much does the airport train cost? Is it a good idea to take a taxi? Can I use rideshares from Sydney Airport? 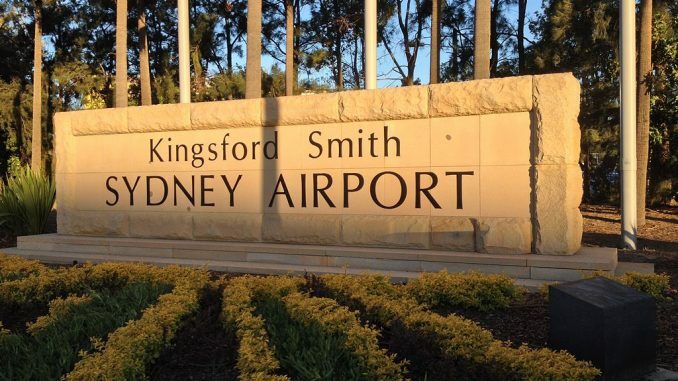 Sydney Airport, also known as Kingsford Smith Airport, is the oldest continually operating airport in the world. It is located close to the city in the south-eastern Sydney suburb of Mascot about 7km-9km from the central business district depending on which terminal you are at. It’s a busy place with over 29 million passenger movements a year, so at times it is crowded, and things can take a while. A second airport is long overdue but still a way off. The airport has three terminals, one international and two domestic terminals. These are located adjacent to each other but require a bus or train transfer. The terminals are usually just referred to as T1, T2 and T3. Some airlines, such as Qantas and Virgin offer free transfers for some of their connecting customers. There is also a free shuttle bus; the T-Bus which runs from 6.00am until 8.30pm. The journey takes approximately 15 minutes. If you are in a hurry, I suggest you take the train between terminals. The station is easy to find, the trip is less than 5 minutes, and it costs $6.40. You don’t need an Opal card you can buy a single ticket. A taxi can cost as much as $17-25 one way as traffic can be horrendous between terminals. The International Terminal is open from 3 am – 11 pm. The Domestic Terminal is open from 4 am – 11 pm. There is a flight curfew in Sydney after these hours, and flights that are running late are fined so in some cases they divert to Melbourne or Brisbane to avoid this if there are unavoidable delays. The airport is closed overnight so pretty much everything shuts down between 9-10pm. The Domestic Terminals (T2 and T3) are locked, and you cannot sleep there at all. There is a small and uncomfortable waiting area near the International Train Station and staff may let you rest here if you have a ticket for a flight the next morning. There are no benches, and no heating is offered at night so prepare accordingly. If this sounds too hideous, and I would not recommend it, there is a Rydges Hotel on site near the International Terminal and several hotels within 1 km of the domestic terminals. The suggested times are 2 hours before a domestic flight and 3 hours before an international flight. If you are travelling by car, please allow for long delays during peak hour. The peak traffic times are 6.30-9.30am and 4.30-6.30pm. New routes to the airport are under construction and traffic is often seriously ridiculous with travel time from the city taking up to an hour for the 9km trip. Other times you can breeze through in 20 minutes it is hard to know. Saturday and Sunday mornings can be just as bad as weekdays. 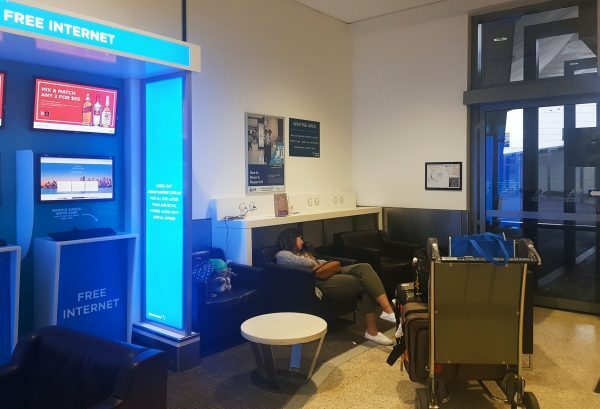 Sydney airport offers free wifi with reasonable speeds and connectivity. 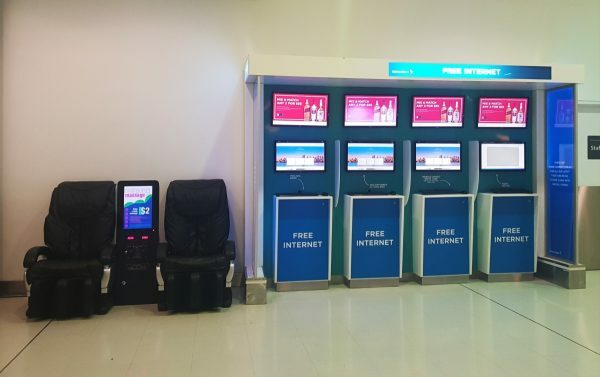 There are also free kiosks throughout Terminal 1. In departures, you will find them a bank of them on the south side of the terminal. Airside (after customs) they are near gates 24, 31 and 53. They do sometimes move these around so check the airport map if you can’t find them. You can buy sim cards for your mobile device from Optus or Vodafone in the International Terminal arrivals hall. Both stores are open until 11 pm. It is worth noting however that they usually only offer their standard deals and not any of the exclusive bundles. If you are here for a longer time or need lots of data, it is worth waiting until you can get to a supermarket (Woolworths Town Hall is great) where you will find a more extensive range with much better data allowances for the same price or less. If you are planning on travelling outside city areas, you might want to consider a Telstra sim as these have better coverage in rural Australia. The Australia Post shop in the departures hall of T1 sells Telstra sim cards. In Terminal 1 there are lots of places to charge your phone once you pass through immigration with facilities at almost every gate. However, there are only a couple in the departures area. You will find them near the Optus shop in the middle of the hall and the northern end by the International Terminal Train station. In Terminal 2 there is a lot of plenty of outlets by the departure gates. Baggage storage is available in Terminal 1. It is operated by Smarte Carte and is opened until 9.30 pm each day. You will find it at the southern end of the terminal near the florist. Some of the toilet blocks in Terminal 1 have shower stalls, but there is no soap or towels. You can buy basic toiletries at the Post shop at the southern end of the departures hall. In Terminal 1 (airside) near counters A and K on the departures level. Airside you will find them near Gate 31, Gate 51. 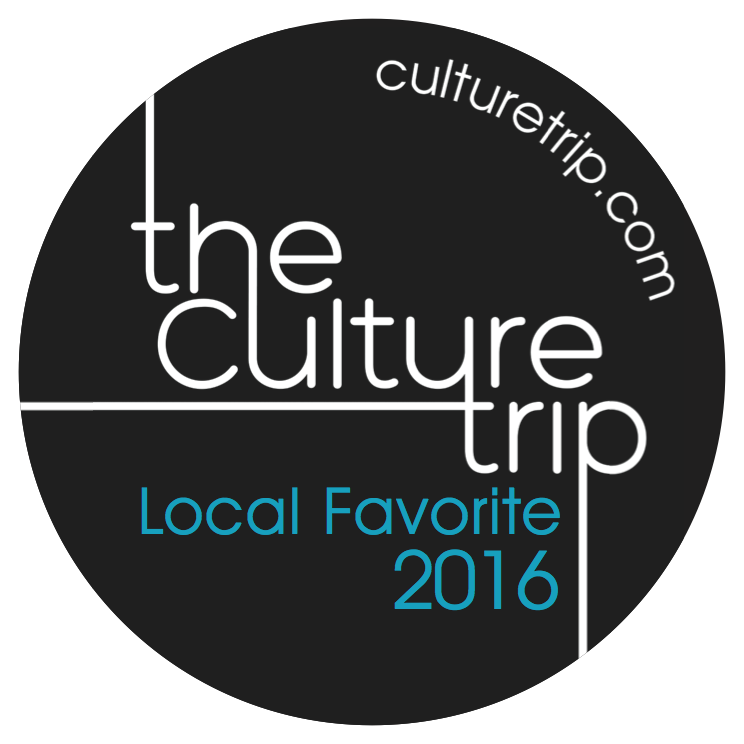 In the arrivals (landside) near check-in counter B. There is a medical centre in Terminal 1 that is opened from 8 am to 5 pm. You may also get basic medical products from the pharmacies in both terminals. The nearest hospitals are St George Hospital at Kogarah and Price of Wales Hospital at Randwick. 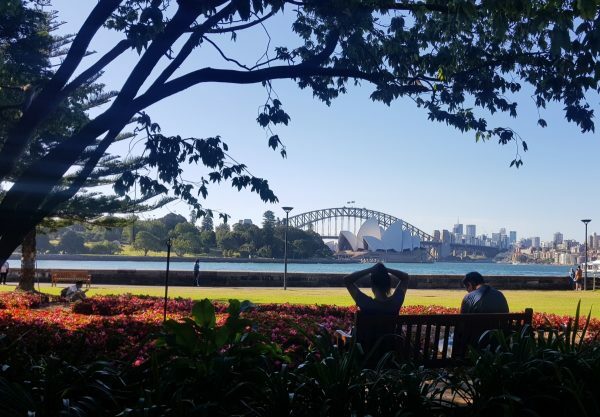 Sadly Sydney Airport has nothing exciting to make you want to linger here much longer than you need to. There are a few dozen shops in the International Terminal and several restaurants, but no fun diversions like you find in Singapore! Trains, buses, shuttles, and taxis operate from Sydney airport. Choosing the best transfer option will vary depending on how many people you are travelling with, where you are heading and how much comfort you need. The most comfortable journey will be in a taxi – but it could cost you a fortune if you travel in peak hour or need to head across the Bridge. The airport train will get you from the International Terminal to Central Station in 15 minutes and to Circular Quay in 20 minutes. It’s three minutes faster if you are travelling to the Domestic terminal. Trains run every 10-15 minutes with the last train leaving at 11.45 pm. I wrote a separate article with tips for taking the airport train which will be helpful in working out the best strategies for a comfortable journey. The only time I would avoid the train is the early morning peak – say 7.45-8.30 am when trains are usually really crowded, and you may find it difficult to enter with your luggage. Head to the front of the train for your best chance at some space or wait for the next train as some non-express trains are not as crowded. Taxi ranks operate outside each terminal. There are marshalls on hand to help if you need a large taxi (we call them maxi-taxi) for groups of 5 or more. They can also arrange taxis with children’s car seats or accessible taxis for wheelchair users. If you are travelling in a group of 3 or more a taxi is often the cheapest option. The average fare to the city is $45 add another $10 if you are heading to the Rocks or midtown. Fares will be higher in the early morning and late afternoon when peak traffic hits. On top of your fare, there is a $3.00 airport taxi levy and a $5.50 Eastern Distributor toll if you travel to the city via this road. Between 10 pm and 6 am a night surcharge is added to your fare. This trip should take about 20-30 minutes. Rideshare services are legal in Sydney, and Sydney Airport has a designated pick up area just a couple of minutes walk from the arrivals gates. You can book your service using the free airport wifi, and you will usually find a car arrives within 5-10 minutes. Uber, Ola and Taxify are all available and offer similar services and prices. Warning This is only for true frugal travellers! Two public bus routes, the 400 and the 410, go via the airport. Either of these buses will get you to a train station on the city rail network. The preferred option is the eastbound bus, ask the driver to let you off at Mascot station and change to a city train. The bus will cost $3.80 from T1 or $2.40 from T2/3. The train will cost $4.00. Total travel time will be about 30 minutes from T1 or 15 minutes from T2/3. From the international terminal, the westbound bus is slightly quicker. Get off at the 3rd stop, Rockdale and then join the train to the city. Do not get off at the station before this (Banksia) as this station has limited service and does not have a lift. The bus will cost $3.80 from T1 or $2.40 from T2. The train will cost $4.80. Travel time from T1 is approx. 30 minutes or T2/3 50 minutes. If you are spending more than two days in Sydney, it is a good deal to buy an Opal Card from a convenience store at the airport before you take the bus. This will save you a little on each of the ticket prices mentioned and counted towards your eight journeys for the week. After eight journeys you can travel for half price for the rest of the week and $2.70 on Sundays. Learn how the Opal system works on this comprehensive post. These are great if you have to head into the northern suburbs or any of Sydney outer suburbs. We use these for booking transfers sometimes and have had no problems with Manly Express for the Northern Beaches and Airport North Shuttle, which confusingly also goes west! Both of these services list their pricing on their websites. If you like the idea of arriving to a pre-arranged shuttle, then this service by Go Sydney Shuttle has a good reputation and is really affordable at less than $20 per person. It’s a shared service, and they make 2-4 stops along the way depending on the number of passengers. They monitor your flight arrival information so will meet your flight even if there are delays. At only $2-3 more than the train, it is a good option if your hotel is not near a train station or if you don’t fancy tackling an unfamiliar public transport system after a long flight. If you prefer a private transfer, you can book a premium transfer starting at $79 for two passengers. The uniformed driver will be waiting with your name card to take you directly to your hotel. Larger vehicles are also available for groups. You can check the full range of options here. An option I have not tried is the airport limo. You can also hire a car; almost all the leading companies have desks at the arrivals halls. Try the comparison site Drive now for your options. 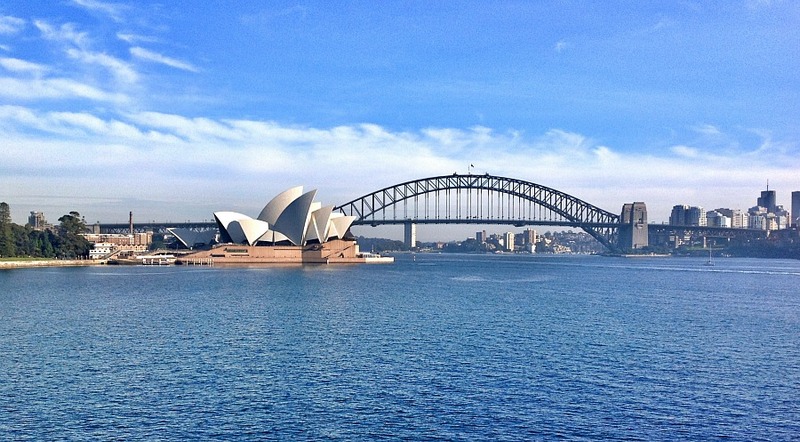 Need ideas for budget hotels in Sydney? I have also written a detailed guide to the different parts of Sydney to stay in and the pros and cons of each area. Also, don’t rule out airport hotels, some of them are great. Got more questions? Head over to our Facebook Group for a quick answer. Any one please tell me how much bus fare from airport to burwood? The single ticket for an adult is $4.60. The ticketing system in Sydney is currently in a change over period from paper tickets to an oyster card type system called Opal and it’s all pretty confusing however tickets for the 400 bus can be purchased on board. It is prepaid route is some areas but at the airport it is not. That certainly is an option for anyone who does not have a lot of luggage or is on a tight budget. Use Wolli Creek for the International Terminal or Mascot for the Domestic. Make sure you check Google maps for the quickest route. My hubby just went for a job interview at the airport. It cost him $24 to enter and exit!! What will it cost on a weekly basis if you work there?? It’s a big problem for regular travellers. I live in Mascot and every morning lots of airport workers get off here and walk the 10 mins to the Domestic Airport. There is also a bus from Mascot station to the airport which is probably the cheapest way to go. If he is working at the international terminal he could walk from Wolli Creek or take the airport bus from Banksia Station… really depends where you live. I am grateful to you for this great content. I am reading your article and its very nice, useful & helpful. I have used ASN transfers, which is a shuttle bus company. It was easier and much less expensive than a taxi. The staff are easy going but professional Aussies and the excellent driver was a local with sound knowledge of the roads. Can Sydney International terminal workers get a free shuttle bus around the airport area for work purposes ? When do they run ? I am sorry Peter I am not sure if there are any special staff buses. I know qantas used to have one for their staff but not sure how many people actually work in both terminals. The idea is great when one considers the other options but how dare it be called a ‘dedicated airport train service’ and charged accordingly? Try getting off a long international flight with young children/ elderly folk and the accompanying baggage then doing battle with commuters to the extent that it is difficult to board the train and unlikely you will get a seat, once in the door. Not only is it a challenge to those of us accustomed to this chaos, it is an embarrassment to be associated with this apology of a service where overseas visitors are subjected to it after having read the ‘over- the- top advertising’ so prominently displayed. You are right it should not be called a dedicated airport service. The service can be a shambles during peak hours and I would certainly not recommend it for anyone travelling with young children or the elderly. As long as you move along the platform it is a lot easier to get on the front and back carriages. Every second service is an all stations train lower down the line and usually has a little more room. Hopefully one day they will drop the expensive gate fee. Helpful information but for plurals NEVER use apostrophes. It is “taxis” not “taxi’s”. Appreciate the tip, I have edited the original copy. I am going to an event in Sydney Olympic Park, and I am looking for the FASTEST way to get there from the Airport – the cost doesn’t matter. Would jumping into a cab be the best option? If budget is not an issue then a cab is by far the best option. I have an 11:30am flight on Boxing Day and live on the northern beaches. We were going to drive in but have heard that roads will be closed on Boxing Day. What are the best alternatives? As far as I know, only roads around Pitt St and Elizabeth Street will be closed for the Boxing Day sales. It should be possible to drive to the airport via the western distributor and Botany Road although it may take longer. I would consider the train if you can get to the North shore line. You change at Wynyard to the airport line, it is relatively straightforward. There are lifts at both stations and the trip from Wynyard is about 25 mins. So if I catch the bus to mascot station and then the train to where I’m going I don’t have to pay the ridiculous $14 to get out of the airport? That’s right Jenni. Take the 400 bus to Mascot ($2.60 without or $2.10 with Opal) then a short walk to the station and $3.38 peak (or $2.36 off peak) to the city by train. Approx total cost to city $5.50 A saving of about $12 – I agree the station access fee is a joke but personally I would not bother doing the bus and train unless I was on a really tight budget. thank you for your help , I am on a tight budget, i’m only coming to syndey for the day from melbourne and the difference will be like $16 in total for my travel compared to close to $40 . Hi Sydney Expert, Good Day. May I know the distance from the aiport to the 400 bus? And if possible, can I know the bus station name? The 400 bus stops at the front of the airport terminal. It will be just a short walk from the arrivals or departure halls. Yes the terminals are linked by train – it takes just a few minutes to travel between the two. Airport Link offers a $6.00 (one way, per person) single transfer ticket for passengers travelling between the T1 International and T2/T3 Domestic terminals. Hi, can you pay for the 400 bus with a card? Or is it cash only? Yes you can use an opal card but not a credit card. Hi! May I know how I can go from Sydney international airport to Orange via the train? My sincere apologies if this is the wrong place to ask my question! Hi Ian, that is correct! Train from International to Central station, the fare is about $17.76 You can save money by taking the 400 public bus from the international to Mascot Station and then taking the train for about $9 in total but if your budget is not super tight I would just pay the train fare. I am so sorry Tina – your comment ended up in spam. I have just discovered it. I would personally take a rideshare. Uber has a special pickup area at the international airport that is only a few minutes walk from the arrivals doors. I am sure it would cost less than the train. For 3 travellers it is probably almost as cheap as the train to catch an Uber/Ola – it depends on the time of day and amount of traffic. The train is very straightforward and will have you at Central Station in 15 mins. It would be probably another 10-15 mins to walk to your accommodation. There are also shuttle services but I have not used any of these and am reluctant to recommend them. 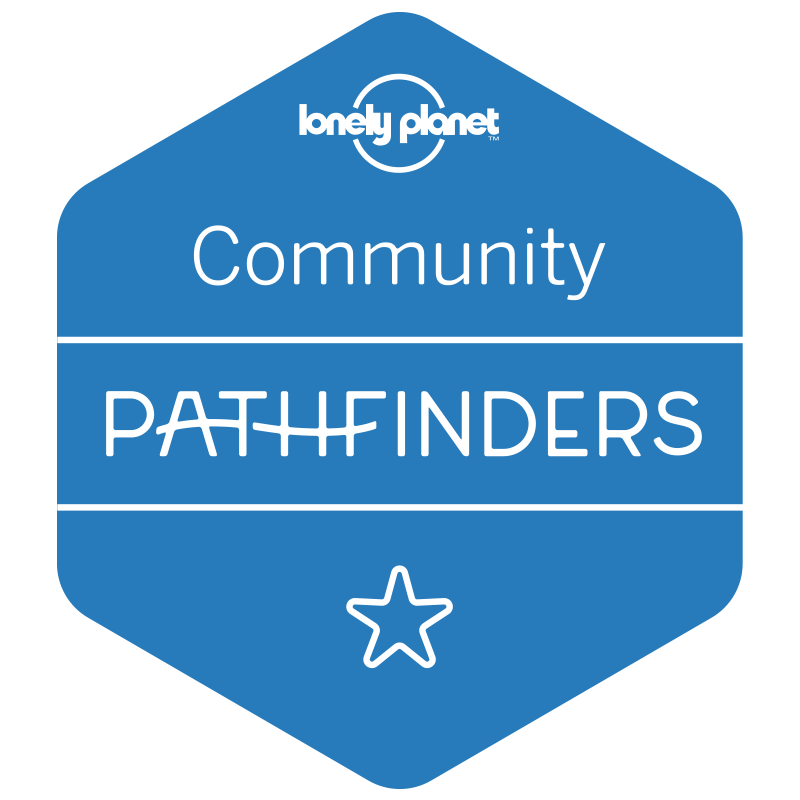 Perhaps pop over to our Facebook Community and ask the group for personal recommendations. Question regarding transferring between T1 and T3: I am asking on behalf of friends who do not speak English well (one is a minor)and have never travelled internationally. They are travelling on Air Canada to Sydney. They then have separate tickets to Perth on Qantas. Everything I have read about getting between the terminals seems confusing: Qantas to Qantas; Oneworld air lines; others. Since they fall into the ‘others’ category because they have separate tickets for the Perth leg and are not part of Oneworld, what is the easiest (but not costly) way for them to get to T3. 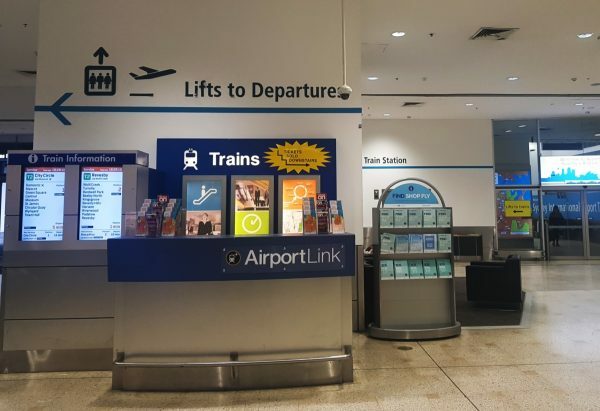 The least confusing way is to take the train – Airport Link offers a $6.40 per person single ticket for passengers travelling between the T1 International and T2/T3 Domestic terminals. The journey takes only two minutes. The train station is well signposted and there are lifts and escalators so it’s really quite easy. The journey takes less than 5 minutes and there are trains very regularly. Thanks for your prompt reply. What level does the train leave from? Once they catch the train, is the stop for Terminal 3 announced or posted? They are very uncomfortable about what happens once they arrive in Sydney. I am hoping to give them very specific instructions. I am arriving by 6-7 am and would need to travel to North Ryde with considerable luggage (Alone/1 person). What would be the safest/convenient way? The best option will probably be a taxi – you can use free wifi in the airport on arrival to book an Uber and there is a specific pick up area that makes it easier to find them once they arrive. You can estimate the taxi cost using this page https://www.taxifare.com.au/ Also our google maps in Sydney lists public transport and rideshare options with price estimates to give you a better idea. Great guide! In fact a well-researched piece of content. Covering the travel between the airports to any specific place in the city. Keep the good work going. Hi. I read there haw been changes at the airport – there is a special needs relative (non speaking – non literate) coming in from Melbourne – can I still meet him at the gate? He usually flies Virgin. I just called the airport and double checked and they said you can still meet people at the domestic flight gates. You just need to allow time to pass through security. 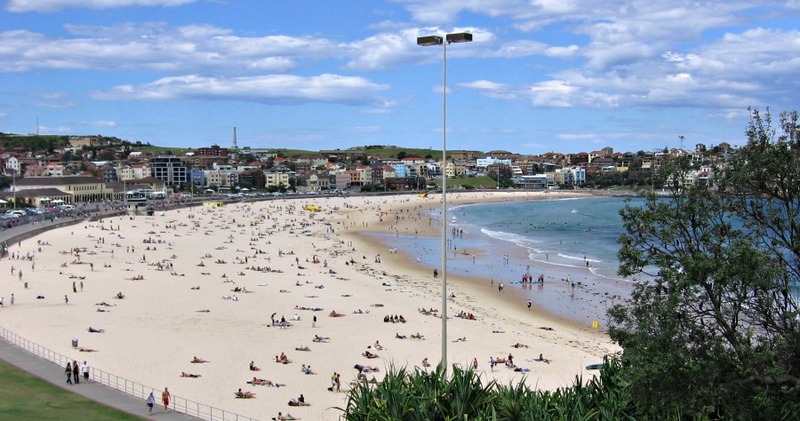 Hello, we area party of 3 adults arriving in Sydney on Thursday, Dec. 27, 18 around 4pm. We are staying at Mantra on Kent St. What is the easiest way to our hotel. Taxi or Uber? At this time of the day would uber be cheaper than a taxi? Hi Nina Rideshare services are always cheaper than Taxis and of the various services available in my experience as a heavy user OLA is the preferred operator. They are cheaper than Uber and usually more reliable. If you use the code in the article above you will get $20 off your first ride – which could be almost half the fare depending on the traffic. Just made sure you enter the code while you are registering your details after you download the app. Thank you very much for such a detailed write-up. Your work will certainly help me as I plan on leveraging a few things you highlighted. I am arriving at Sydney domestic airport on December 25th. What is the terminal for Jetstar from Melbourne? Will I be able to take the 400 bus (Eastbound) from the respective terminal to Mascot in order to get the train to CBD? My understanding is that I can pay for the ticket in the bus. Being Christmas Day, will the buses and trains operate regular times or they have a reduced schedule? If so, where can I find that? Hi Cassandra Yes you can walk from Gertrude Street but it will take about 15 minutes. It’s a fairly easy walk that many airport staff who live in the area do every day. Hi, what is the nearest point to Darling Harbour(Woolbrokers Hotel) to get off from the 400 Bus from International Terminal? Hi You would have to leave the 400 bus at Mascot Station and join a train to Central, then jump on the light rail around to Darling Harbour.